Each new iPhone comes with a better camera that is capable of taking even more great photos. Does this mean that each pic will require more space on your iPhone storage? The answer is Yes. And it’s logical then that the “iPhone Storage Almost Full” notification will appear earlier and maybe at the worst possible moment. So, can we prevent this problem? We have prepared several tips to help you have more space for beautiful photos. 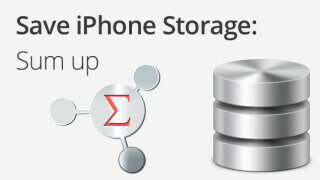 To check the current storage usage, go to Settings → General → Statistics → Storage & iCloud usage → Manage Storage. You will find the biggest space eaters. It is known that music and photos require the most memory. In my case photos took up the most storage. So let’s look at this in detail. 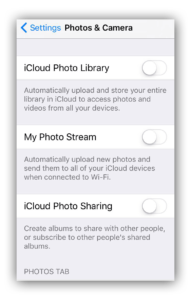 Firstly, if Photo Stream is switched on (Settings → Photo & Camera → My photo Stream), all photos are stored on the iOS twice: the photo itself and an icon of each photo from iCloud. Simply turning off the slider to the “Upload to My Photo Stream” will save a third of the storage occupied by your pics. If you need to keep your photos in iCloud, then enable the slider “Settings → Photo & Camera → iCloud Photo Library”. In this case, when connected to a Wi-Fi network, your photos and videos will automatically be uploaded to iCloud. Note, this is true for the iOS version 8.0 and above only. Moreover, the iCloud Library not only saves your photos and videos but allows you to save picture previews on your iPhone, while the full-size media is kept in iCloud. 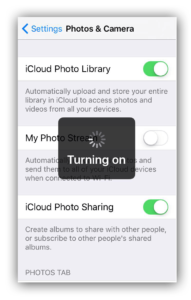 To switch it on/off again, go to Settings → Photo & Camera → iCloud Photo Library. However, this function has one shortfall. If you want to put any image or photo on your desktop, you will need an internet connection. 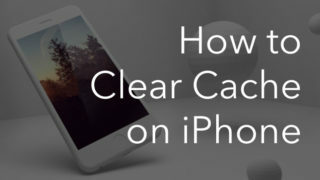 It is likely that there is no need to keep photos on your iPhone. For instance, you may regularly copy media to your Mac or to external drive and free up space on your iOS device. 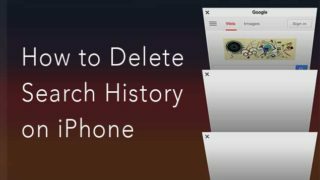 Look through these photos and videos and remove extra media from your iPhone or iPad. One more tip is to check additional folders in your Albums. 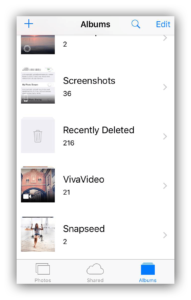 For example, Screenshots folder, Instagram, Snapseed and other program folders that keep duplicates created by the app that you have used. Moreover, you might take a lot of screenshots or have old and unneeded screenshots. Take a look at these folders and remove media files you no longer need. 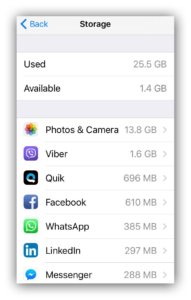 If even clearing unneeded media doesn’t free up enough memory storage on your iPhone then you should think of getting rid of the biggest media files, as well as from unneeded similar photos. 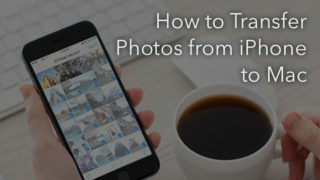 Fortunately, there is a quick way to find and remove similar pictures and the biggest media files on your iOS device. As mentioned in the second tip, use Phone Cleaner for Media Files. The app scans the iPhone Media library and shows a list of the biggest files and duplicate photos. You can preview each file and trash unneeded ones. 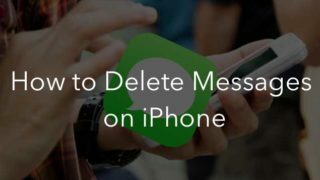 And don’t forget to empty the trash, as iOS puts all removed photos and videos into a temporary folder “Recently Deleted”. 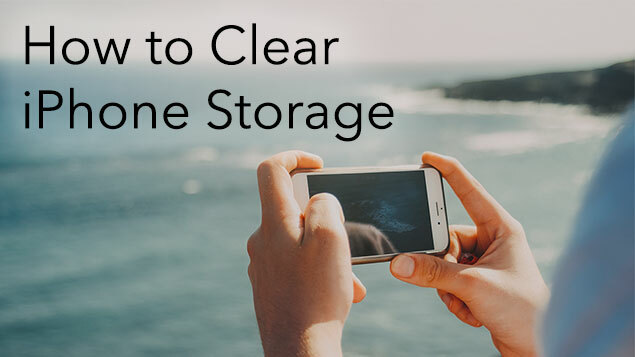 If even after these 3 tips your iPhone storage is still full, follow our short guide on how to clear iPhone or iPad, where you will find six useful tips to free up more memory.